Louie T. Carter has been a citizen and resident of Wooster and Wayne County for 44 years. He graduated from Warren High School in Warren, Arkansas, and had ben invited to try out with the St. Louis Cardinal system as a second baseman. He chose to try the business world instead. The company that he organized was the Wooster Lumber Company. Carter never lost his love and enthusiasm for sports, however. He has been organizer, supporter, fundraiser, driver, and sponsor for many area teams and organizations. His Wooster Lumber Little League baseball team was a Charter Member of the Little League program with Carter serving as one of the catalysts in the formative years of the League. From the mid-40’s to the mid-50’s, the Wooster Lumber Men’s Softball Team was THE team to reckon with around this part of the country. This Fastpitch team played In the Major Ohio State Softball League and was always tough to beat. They won the State Championship several times to compete in the Regional playoffs. They met and defeated some of the professional teams of that time., including the Joe Louis Punchers, the Chicago Hottentots, and the King and His Court. They played their home games at the Fairgrounds. In the late 50’s, Carter’s Wooster Lumber girls softball team was formed and dominated the Ohio-Michigan Women’s Softball League. This team won the State Championship five times, the Regional three times and the National Championship three times. Many of his players won national recognition. 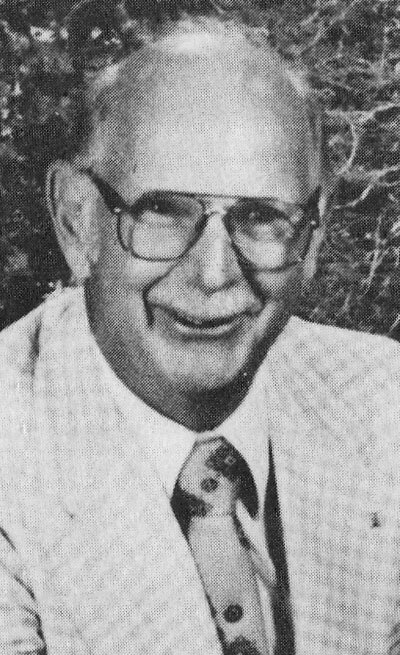 Carter supplied the motivation to furnish the bleachers on the east side of Maurer Field when he served as President of the Wooster High Boosters Club. He also furnished transportation many times for the WHS teams. He has also been a force in the Downtown Rebounders at the College of Wooster. In 1961, Carter created the Wooster Duck and Pheasant Hunting Club and became its first president. The hunting area now covers over 1200 acres with 1600 hunters using it annually. Over 13,000 birds are taken annually by hunters from all over the world. Carter has served many other capacities in the community over the years, including his work on the Wayne County Cancer Society for over 30 years., instrumental in establishing the Goodwill Industries Work Shop and serving on its board for 17 years; life member of the Elks Lodge; honorary member of the State of Ohio Forest Association; Past President and member of the Rotary Club of Wooster and United Way of Wooster.